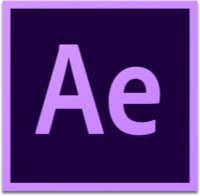 Learn essential UI Animation techniques in this After Effects course. High fidelity UI interaction concepts in AE are smooth, visually stunning, and effective. Progress bars seem pretty straightforward, and they are - but we can make them even simpler with some cleverness in After Effects! Don't just fade your content containers.. stretch 'em! It really looks cool when your containers are adaptive to changing content, resizing as needed. Card views are everywhere.. sooner or later you're going to need to animate one in a concept. Here's the basic process, including an awesome shading trick.